Multiple pairs of compression garments for Christmas! 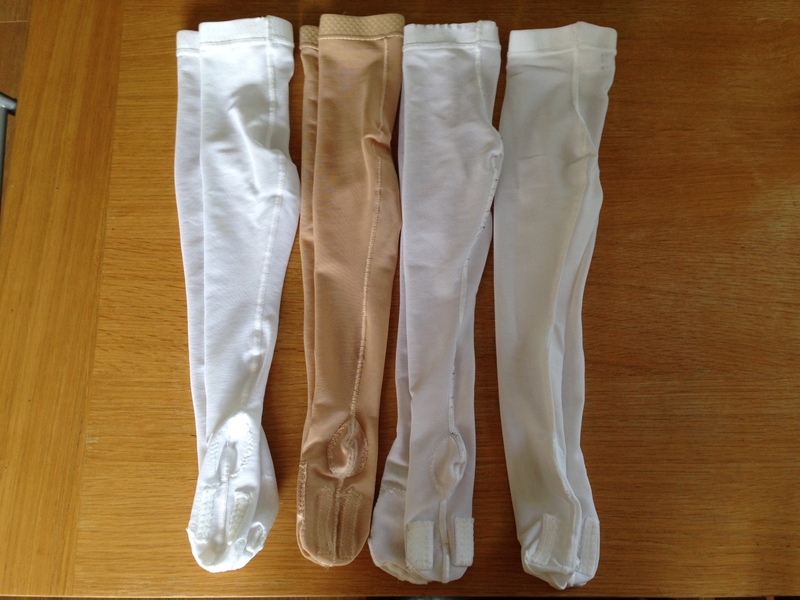 So it feels a little bit like Santa has come early for us as we have not one, two or even three pairs of compression tights for Lucia – but four!! Albeit the fourth pair was the original pair that has a hole in the knee (expertly sewed by myself!) but they will still be a useful spare pair if needed. This is the most pairs we have ever had and we are over the moon. It might sound ridiculous but those with Lymphoedema who wear garments will totally understand the luxury of having multiple pairs. First of all I don’t need to put a wash on every night! When garments are worn all day they start to lose their compression and washing them brings back their ‘tightness’. So I have had to wash and dry her one pair every night. Thankfully the material they are made of means they dry quickly so they can be washed and dried within 12 hours. Secondly, it means my panic is slightly less if Lucia falls and damages them or if she has a potty accident. However, happily the potty training has completely clicked and she hasn’t had an accident since day 5. So proud of her! Most importantly of all though, it means more fun! 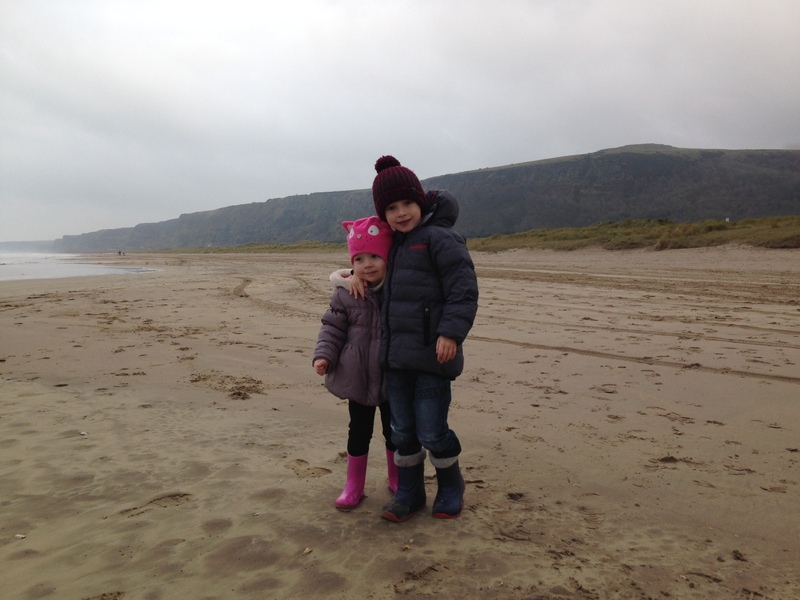 Lucia and Max both love getting into their wellies and jumping in puddles – inevitably ending up soaked! Whereas before we always worried about her tights getting wet as there was no spare to change into, we can now let her go mad! Recently, we spent a gorgeous winter morning at the beach when a freak wave left us all drenched meaning Lucia had to go compression free for the rest of the day. As you can imagine I worried my head off – but not anymore! So thanks to Jobskin for getting us what we really needed for Christmas in time for the big day – now bring on the main man! Santa Claus, we are waiting! Hope you all have a wonderful time at Christmas and New Year. This year I am thankful for being introduced to you and Lucia it is so much easier when you have someone else out there to share your worries over these little princesses and this horrible condition. Take care I hope Santa Is good to you all. Isla is hyper so I can only imagine how excited both of yours are. Hi Jo Ann delighted you got lots of new garments I know only too well what it’s like trying to manage with one garment. We currently have two that we got at the foldi clinic but uunfortunately they are starting to get too small. Hi Donna, it is wonderful having more than one pair…sounds daft it it makes such a difference! I hope you can get your daughter’s garments replaced quickly as that in between time is so worrying and frustrating. When you finally get what you need the relief is fantastic. Will you get replacements from foldi?